'Overwatch' Concept Art: Why the new character might not be a spider tank named "Anchora"
In the wake of an Overwatch blog post that revealed a new character, the 11-year-old genius inventor Efi Oladele, the Overwatch fandom has been digging through every single cinematic and bit of concept art for clues about her that might be lurking in the margins. Given Blizzard&apos;s previous, incredibly complex character reveal with the Sombra ARG, this urge to sleuth out hidden answers makes sense. Since Blizzard hasn&apos;t even confirmed whether Efi will be a playable hero yet, the fandom is taking a lot of big swings with its theories — which means Blizzard has to occasionally step in to do some damage control. Such is the case with a rumor that the new Overwatch hero is actually a four-legged Omnic named Anchora. Blizzard hasn&apos;t explicitly nixed this theory yet, but in a presentation at the DICE Summit — a conference for video game developers that stands for "design, innovate, communicate, entertain" — Overwatch director Jeff Kaplan ruled out a key piece of concept art that fans had been pointing to as a clue for what Overwatch&apos;s newest hero might look like. New Overwatch characters: Kaplan says supposed Anchora concept art "is not the hero who you think it is"
During Kaplan&apos;s on-stage presentation at DICE, he spent some time discussing Overwatch and Blizzard&apos;s process in designing the game more broadly. At one point, a piece of early concept art appeared on the screen behind him, which prompted him to briefly interrupt his talk to address the rumors that the spider-like monster in the center of the image is what the new Overwatch character will look like. Overwatch Anchora concept art: Wait, why would the new character be a spider robot? If you&apos;re wondering how the Overwatch fandom got from a tiny, 11-year-old inventor from Numbani to a giant, hulking spider robot of death, let&apos;s back up. The main source of this rumor came from an alleged leak in early January on 4chan, in which a user named Blizzileaks posted a whole bunch of information about upcoming Overwatch goings-on. Some of these alleged leaks — like a prediction about Year of the Rooster skins — were pretty accurate, but others were not. For example, the post alleged that Hanzo and Genji would get skins and that the Year of the Rooster event wouldn&apos;t be a full event like Winter Wonderland. Neither of those leaks panned out. Another supposed leaked bit of information is that the next Overwatch hero is a four-legged Omnic tank hero from Numbani named Anchora. The main reason the Overwatch fandom has latched onto this theory is because Efi Oladele — who&apos;s from Numbani — is described as an expert in robotics and AI. Therefore, the fandom thinks Efi might actually just be the creator of the next Overwatch character, but not a playable character herself. Finally, the reason the Overwatch fandom is hunting through old concept art is twofold. One, Blizzard is known for teasing characters far ahead of time and two, Efi references some mysterious tech as inspiration for her current robotics project in that fictional interview. "I want to create things that make our lives better," she said. "And someday, my dream is to build something that can keep us safe, like the new OR15s! I think that would be great." The thing is, nobody knows what OR15s are. Hence, the search through old concept art. 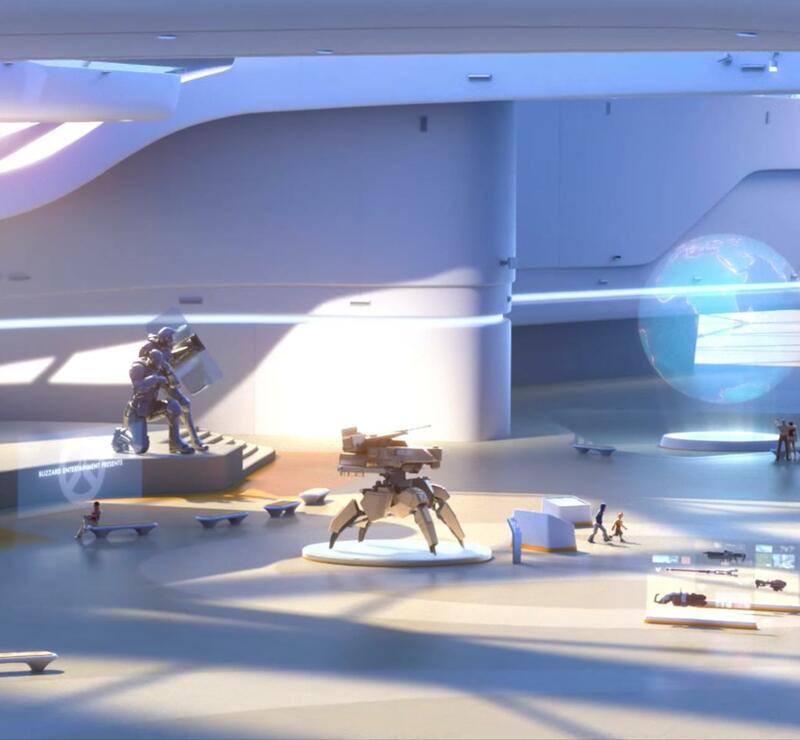 The Overwatch fandom has since found a bunch of instances in which four-legged mechs appear, like in the original Overwatch cinematic, in an early sketch of Overwatch characters, on the Eichenwalde map and in that piece of original Overwatch concept art that Jeff Kaplan delivered his speech in front of at DICE. So, where does this leave the Anchora rumors? Now that Kaplan has pointed at the giant, hulking spider bot in that last piece of concept art and said it&apos;s "not the hero who you think it is," the fandom doesn&apos;t seem sure how to proceed. It seems like a cut-and-dry throwaway of the spider-bot theory altogether, but it&apos;s also kind of non-committal and lacks specificity. What seems likely is that the spider-looking bot in previous concept art was simply an idea Blizzard had been toying around with, but wasn&apos;t sure exactly what to do with. It&apos;s certainly possible that the next Overwatch hero will finally use that concept, but it&apos;s unlikely it will look much like those original concept drawings. Either way, Overwatch fans will just have to wait to know for sure.